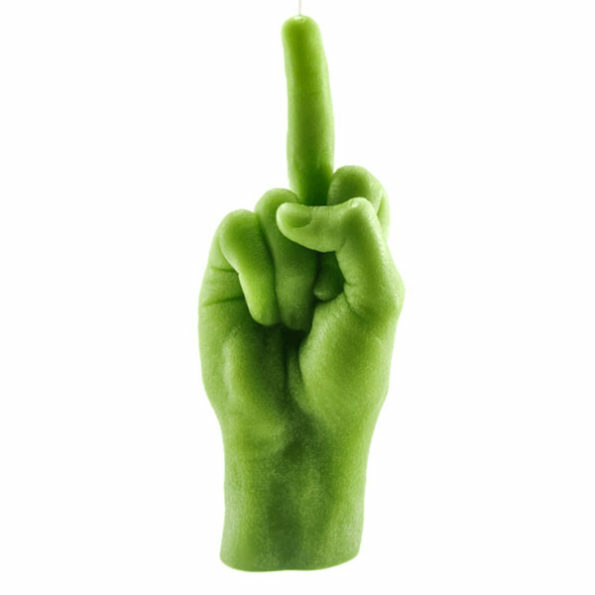 Get this amazing Hand gesture candles which show a sign of middle Finger – FCUK You. This hand gesture candle comes of the size of a real human hand and is 100% handmade candles. They are made from high-quality paraffin and it really lasts long and spreads nice homely fragrance. Buy this amazing candle gift which burns for up to 12 hours, available in blue, black, green and yellow colors. Buy Now!! !